Over the last few months Wordle has been making regular appearances in my Personal Learning Network so I thought I’d share the resource with you. Wordle is a text generator that allows you to create ‘Word Clouds’ from either the text you type in, text that you copy and paste from a document or text from a website. Once your word cloud is created you can save the image to the Wordle gallery and screen print a copy for yourself. Once you have cropped this image you can then use the screen print in your lessons either as part of a Power Point Presentation or a Word Document. 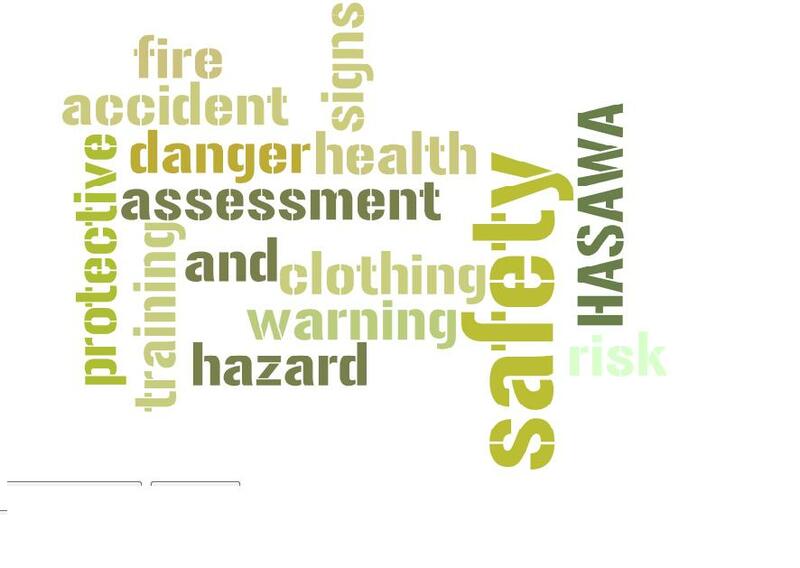 Below is an example of a Wordle related to health and safety words. It could be used as in a memory game where the students are given two minutes to memorise the words before they recite them to their tutor/classmates. I was first introduced to the website via my PGCE tutor Alison. In her blog Alison provides a few ideas for using Wordle in the Skills for Life classroom such as stimulus for creative writing or as a way of analysing the text in a poem. Alison’s blog post also includes a downloadable Poetry Writing exercise based on songs to do with snow. I have recently started following @tombarrett on Twitter and he is always tweeting fantastic links to his interesting ways series.A series of Power Points containing various interesting ways for supporting spelling in the classroom, using Google docs and teaching comprehension to name just a few. Tom recently tweeted a link to a Wordle based ‘interesting ways’ which includes ways to find out what ideas are most important in a famous speech and using Wordle to compare/contrast themes in literature. This entry was posted in Resources and tagged ESOL, Literacy, Wordle by Gemma H. Bookmark the permalink.